…remember it’s about a footballer and it all makes sense. 1. Since his sister’s boyfriend has been charged with assaulting him with a knife and Davenport has been charged with assault of his sister, you can guess what went down. Since the sister’s first child is with a lifer, it all rather adds up to one serious family mess. 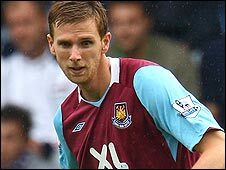 West Ham United footballer Calum Davenport has been charged with assault. The former Coventry and Spurs star was stabbed in the legs in an incident at his mother’s home in Kempston in September this year. The 26-year-old, who denies any wrong doing, spent six days in intensive care in Bedford Hospital after the incident. He has been charged with assault causing actual bodily harm on a woman. Worrell Whitehurst, 25, has appeared in court charged with attacking the central defender as well as his mother, 49-year-old Kim Stupple, in the driveway of her home in Springfield Avenue, in August. Mr Davenport, a former England under-21 international, underwent emergency surgery at Bedford Hospital for stab wounds to both legs. Doctors had to cut through muscle to repair the damage to his artery. 2. 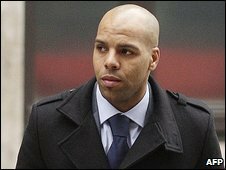 In another story, Marlon King is going down for sexual assault and breaking a girl’s nose because unlike Steven Gerrard, no one knows who he is. This was his defence too. He argued it was a case of mistaken identity. How he aligned that with the CCTV footage, numerous witnesses and his vocal admission that I am Marlon Kingat the scene is ridiculous. He got 18 months.